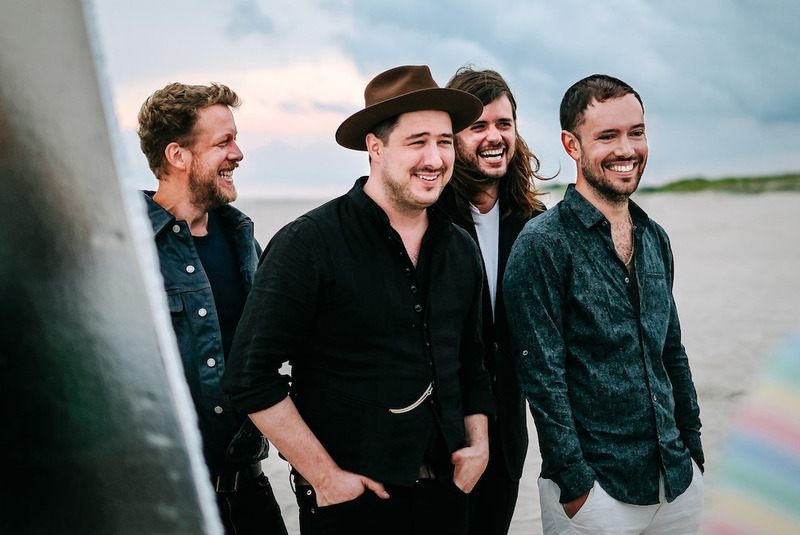 Mumford & Sons are pleased to share the video for their new single, “Guiding Light”. Directed by Joe Connor (Sam Smith, Coldplay), the video was filmed outside the Tate Modern in London on 20th September, when the band performed an impromptu live set aided by a selection of their fans and passers-by alongside the River Thames. ‘Guiding Light’ is the first single to be lifted from Mumford & Sons’ fourth album Delta. Available now on pre-sale, the album is released on the 16th November via Gentlemen of the Road/Island Records. It was produced by Paul Epworth and recorded at London’s The Church Studios. The band recently debuted the single in the US, live on “The Tonight Show Starring Jimmy Fallon” featuring special guests The Roots. Watch the performance HERE. In celebration of the album, the band will embark on an extensive 63-date worldwide arena tour this year, featuring a groundbreaking in-the-round stage design. Tickets are on sale now viahttps://www.mumfordandsons.com/live. The tour kicks off in Dublin next month on 16th November, the same date as Delta is released. The band will play to an incredible 820,000 fans across the world. The six month run routes the band up and down the UK, followed by a brief stop in the US andCanada ahead of Christmas. In January, they head over to Australia and New Zealand (including the first Gentlemen of the Road show of the campaign in Auckland), before heading back over to the US for a more substantial run of shows, concluding with sixteen dates across Europe. 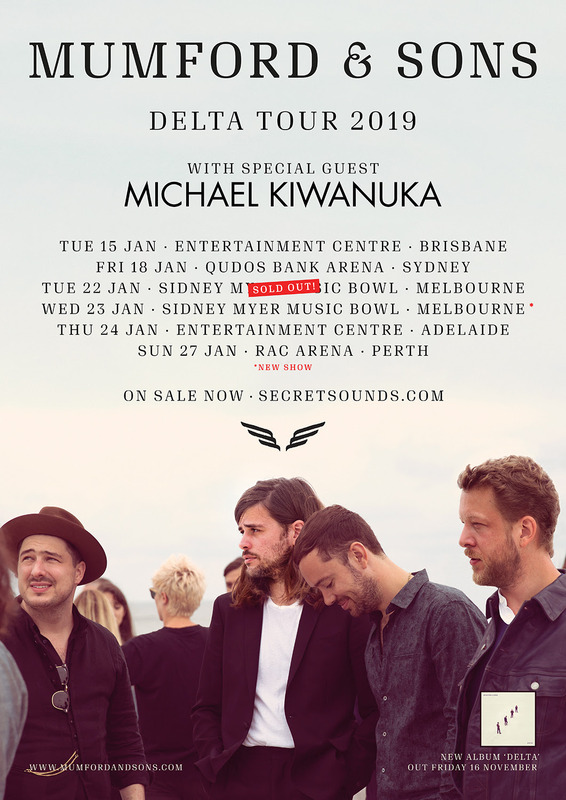 Don’t miss out on seeing the brand-new Delta album performed across Australian stages nextJanuary 2019! A second Melbourne show has been added with Sydney, Adelaide, Brisbane & Perth all selling fast.